Dizziness is a term that is used to describe a feeling of wooziness, lightheadedness or being off balance. Sometimes it is also used to describe a spinning sensation or a sensation of movement although in such cases the term vertigo will fit better. 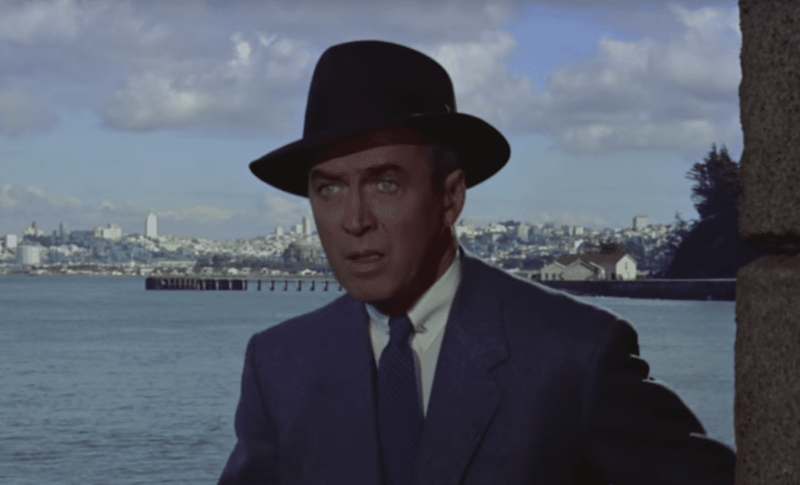 In Alfred Hitchcock’s masterpiece, Vertigo, James Stewart plays ex-cop Scottie, invalided out of the police due to vertigo brought on by a traumatic and shaming calamity during a rooftop chase. Dizziness is a nonspecific symptom that often means different things to different people. As the symptoms are usually quite vague and can be caused by a wide range of disorders, the underlying cause may often be difficult to define. Dizziness accounts for an estimated 5 percent of primary care clinic visits. A final diagnosis is not obtained in about 20 percent of cases (1). Usually, dizziness alone is not a sign of a severe underlying disease, especially if it passes after a few minutes. Dizziness can occur in people of any age but is more common among older adults. It commonly leads to falls and sometimes injuries among the elderly. Often, the fear of dizziness may cause older adults to limit their activities. 1. How Does the Vestibular System Work? In the majority of cases, the cause of dizziness may be traced to the vestibular system. The vestibular system is a sensory system responsible for providing the brain with information about motion, head position, and spatial orientation. The two main components of the vestibular system are the peripheral vestibular component and the central vestibular component. The vestibular system is a sensory system responsible for providing the brain with information about motion, head position, and spatial orientation. 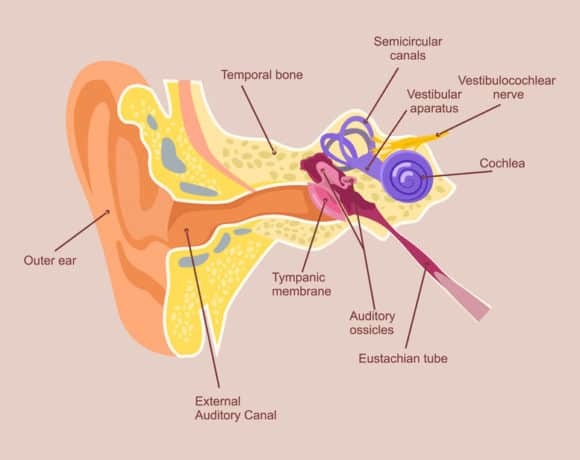 The main components of the vestibular system are found in the inner ear. 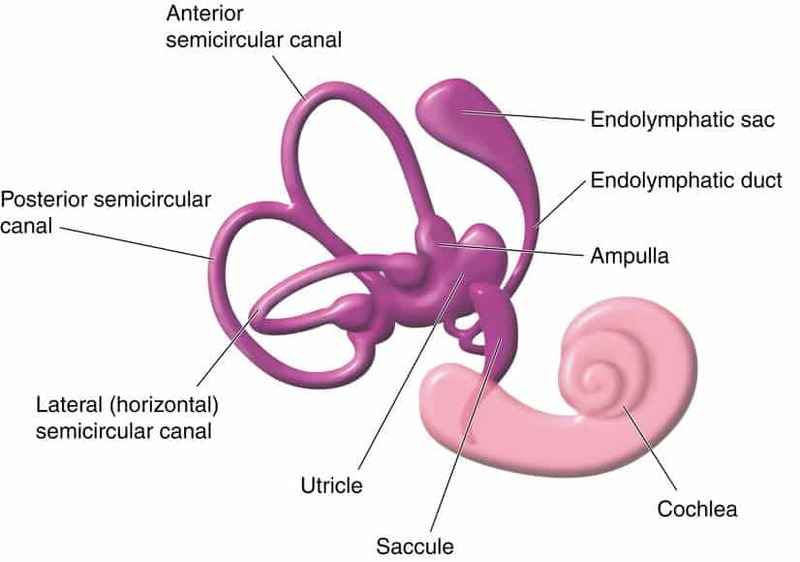 The peripheral portion of the vestibular system is a part of the inner ear and is composed of three semicircular canals, two otolithic organs (the utricle and the saccule), and the vestibulocochlear nerve. The purpose of the semicircular canals is to detect rotational movements of the head. For example, the semicircular canals are activated when we turn our head left and right or when we tilt our head up and down (2). Rotational head movements cause the fluid in the semicircular canals to move. The fluid movement causes hair cells in the semicircular canals to bend leading to stimulation of the vestibulocochlear nerve. The purpose of the vestibular nerve is to transmit balance-related information from the semicircular canals and the otolithic organs to the central portion of the vestibular system which is located in the brainstem, cerebellum, and other parts of the brain (2). Hence, the peripheral vestibular system acts as a miniaturized accelerometer and inertial guidance device, continually reporting information about the motions and position of the head and body to the brain (3). The central portion of the vestibular system is composed of the vestibular nuclei in the brain and its ascending and descending tracts. The role of the vestibular nuclei is to process the balance-related information from the peripheral vestibular system along with visual information from the eyes and somatosensory information from the muscles. Once the brain has made sense of all of the incoming information, it transmits outgoing signals to control the movement of the eyes and muscles of the body. The eyes are primarily stabilized through the vestibulo-ocular reflex (VOR), and the body is stabilized mainly through the vestibulospinal reflex (VSR). 2. What Are the Most Common Causes of Dizziness? A few disorders are lumped under the term dizziness. The most common are vertigo, nonspecific dizziness, disequilibrium, and presyncope (1,4). Fitting the patient onto one of these categories is practical. It has been estimated that approximately 40% of dizziness is caused by a dysfunction of the balance organs of the inner ear (4). This is called peripheral vestibular dysfunction. The three most frequent forms of peripheral vestibular disorders are – in the order of their frequency – benign paroxysmal positioning vertigo (BPPV), Menière’s disease, and vestibular neuritis (5). Approximately 10 percent of patients with dizziness have a central brainstem vestibular lesion; 15% have a psychiatric disorder; and 25 percent have other problems, such as presyncope and disequilibrium (4). Elderly patients are more likely than younger people to have a central brainstem vestibular lesion as a cause of their dizziness. This is most often due to stroke. 3. How Is the Cause of Dizziness Identified? The patient’s description is critical for finding the cause of dizziness. The history taking should focus on the nature of the symptoms, the duration, and triggering or alleviating factors. It may be helpful to ask the patient to use other words than “dizzy.” The rationale for this is that patients may use “dizzy” nonspecifically to describe vertigo, unsteadiness, generalized weakness, syncope, presyncope, or falling (6). A simple way of distinguishing between ear-related dizziness and dizziness due to other causes is to determine whether it occurs only when the patient is upright or also when he/she is lying down. Dizziness that occurs only in the upright position is unlikely to be related to the ear. The patient should be asked if there is any hearing loss, tinnitus or drainage from the ear. The general examination of the patient includes an assessment of vital signs, supine and standing blood pressure measurements, and evaluation of the cardiovascular and neurologic systems. The ears should be inspected for signs of infection or inflammation of the external or middle ear. It is essential to distinguish vertigo, which is a subtype of dizziness, from other types of dizziness. Testing for nystagmus is of key importance. The presence of nystagmus suggests that dizziness is vertigo (4). Like dizziness, vertigo is a symptom, not a diagnosis. Vertigo is only one type of dizziness. Vertigo is an illusion of movement most often caused by an asymmetric input to the vestibular system. Most people have experienced vertigo as the spinning sensation experienced after turning around rapidly several times. Although the most common perception is a spinning sensation, terms like “whirling,” “tilting” or “moving” are often used (4). It is important to distinguish vertigo from other types of dizziness. Although the spinning component is characteristic of vertigo, many patients have difficulty in putting their experience into words. The time course and knowledge of provoking and aggravating factors may help determine the underlying cause. The presence of nystagmus suggests that dizziness is vertigo. Vertigo is never continuous for more than a few weeks (4). However, patients may have repeated spontaneous attacks. These may be caused by Meniere disease, vestibular migraine or benign paroxysmal positional vertigo. Episodic vertigo that lasts for days with nausea and no other ear or central nervous symptoms is usually due to vestibular neuritis (6). This type of vertigo may also be caused by multiple sclerosis or stroke. Vestibular neuritis often occurs following a viral illness. Episodic vertigo that lasts for seconds and is associated with head or body position changes is probably due to benign paroxysmal positional vertigo (BPPV) (7). Vertigo of sudden onset that lasts for minutes may be due to migraine or cerebrovascular disease (6). Constant dizziness lasting months may often be psychogenic. When distinguishing vertigo from other types of dizziness, it is practical to remember that all vertigo is made worse by moving the head. If the head motion does not make symptoms worse, the patient probably does not have vertigo but suffers from another type of dizziness. Nystagmus refers to rapid involuntary movements that may cause one or both eyes to move from side to side, up and down or around in circles. The presence of nystagmus is tested by having the patient follow the examiner’s finger up and down and left an right. Lateral gaze is tested with the examiner’s finger placed >60 degrees from midline. The presence of nystagmus suggests that dizziness is vertigo. However, there are many types of nystagmus. In a patient with acute vertigo, nystagmus may be found with the patient looking straight ahead. The absence of nystagmus suggests that vertigo is unlikely. Hence, other types of dizziness should be considered. Some types of nystagmus are only seen after a provocative maneuver like the Dix-Hallpike maneuver. 6. What Is the Dix-Hallpike Test? In 1952, Dix and Hallpike performed the provocative positional testing named in their honor. The Dix-Hallpike maneuver is used to provoke vertigo and elicit nystagmus in patients with dizziness that is not present at rest. It is commonly used to diagnose benign paroxysmal positional vertigo (BPPV) (8). The patient is positioned sitting upright in bed, such that when supine the head will hang over the edge. Next, the head is turned 45°to one side. The patient is then placed supine rapidly so that the head hangs over the edge of the bed. The presence of nystagmus is observed for 30 seconds. The test is then repeated with the head turned in the other direction. If the Dix Hallpike test is positive, the patient will experience vertigo and nystagmus will be observed. Position the patient sitting upright on the bed, such that when supine their head will hang over the edge. 7. 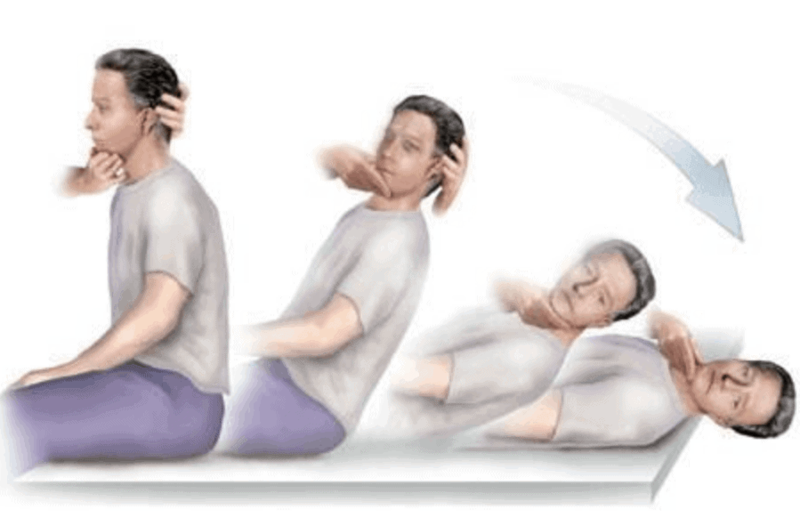 What Is Benign Paroxysmal Positional Vertigo (BPPV)? Benign paroxysmal positional vertigo (BPPV) is probably the most common cause of vertigo in the United States. It has been estimated that at least 20% of patients who present to the physician with vertigo have BPPV (7). BPPV is defined as an abnormal sensation of motion that is elicited by certain provocative positions. These provocative positions usually trigger nystagmus. Apart from dizziness and vertigo the signs and symptoms of BPPV may include a loss of balance, nausea and vomiting. The signs and symptoms of BPPV can come and go, with symptoms commonly lasting less than one minute. Episodes of benign paroxysmal positional vertigo can disappear for some time and then recur (9). Activities that bring about the signs and symptoms of BPPV are almost always brought on by a change in the position of the head. The Dix-Hallpike maneuver is the standard clinical test for BPPV. The otolith organs, the utricle and saccule, monitor movements of the head and the head’s position related to gravity. The otolith organs contain calcium crystals that make us sensitive to gravity. The crystals give the otolith organs their name (otolith is Greek for “ear stones”) (10). These crystals can become dislodged. BPPV occurs when the tiny calcium crystals are displaced from the otolith organs the utricle and saccul) of the inner ear and fall down into one of the semicircular canals, disrupting the flow of the fluid in that canal. BPPV occurs when the tiny calcium crystals are displaced from the otolith organs of the inner ear and fall down into one of the semicircular canals, disrupting the flow of the fluid in that canal. The presence of crystals in the semicircular canals causes them to become sensitive to head position changes it would normally not respond. This leads to dizziness and vertigo. People with BPPV often suffer from short episodes of severe vertigo with change in head or body position, such as turning over in bed or getting up and out of bed, tilting their head back in the shower to wash their hair, or turning their head from side to side while driving. The onset of vertigo can be very sudden and very frightening (11). Canalith repositioning is the preferred treatment for BPPV. The reposition maneuvers incorporate a specific series of head and body movements designed to move the displaced calcium crystals out of the affected semicircular canal. This series of movements is typically completed in a short period of time, but repetition may sometimes be required. There are several types of repositioning maneuvers, including the Epley maneuver, the Semont, and the Appiani, which are specific to the semicircular canal that is involved (13). Other treatment options include watchful waiting, vestibulo-suppressant medication, vestibular rehabilitation, and surgery. 8. What Is Vestibular Neuritis? Vestibular neuritis, also known as vestibular neuronitis and labyrinthitis, is believed to be a viral or postviral inflammatory disorder, affecting the vestibular portion of the vestibulocochlear nerve (12). Vestibular neuritis is characterized by the rapid onset of severe, persistent vertigo, nausea, vomiting, and gait instability (13). Physical examination usually shows gait instability and the presence of nystagmus. When this syndrome is combined with unilateral hearing loss, it is called labyrinthitis. Generally, the most severe symptoms only last a couple of days, but while present, make it extremely difficult to perform routine activities of daily living (14). Most patients make a slow, but full recovery over the next several weeks (approximately three weeks). However, some patients can experience balance and dizziness problems that can last for several months. It is important to rule out other illnesses, such as stroke, before a diagnosis of vestibular neuritis is made. Medications may be prescribed to control nausea and to suppress dizziness during the acute phase. Examples include Benadryl (diphenhydramine), Antivert (meclizine), Phenergen (promethazine hydro¬chloride), Ativan (lorazepam), and Valium (diazepam). Other medications that may be prescribed are steroids (e.g., prednisone), an antiviral drug (e.g., Acyclovir), or antibiotics (e.g., amoxicillin) if a middle ear infection is present (15). 9. What Is Meniere Disease? Meniere’s disease is a disorder of the inner ear that causes vertigo and hearing loss. It is a peripheral vestibular disorder attributed to excess endolymphatic fluid pressure, which causes episodic inner ear dysfunction (12). Meniere’s disease can occur at any age, but it usually starts between young and middle-aged adulthood. It’s considered a chronic condition, but various treatments can help relieve symptoms and minimize its long-term impact (13). The disease is characterized by spontaneous episodic vertigo lasting for minutes to hours, usually associated with unilateral tinnitus, hearing loss, and ear fullness. 10. What Is Vestibular Migraine? Migraine is increasingly recognized as a cause of recurrent vertigo. However, the mechanism whereby migraine causes vertigo is not understood, and the diagnosis remains somewhat controversial (12). Vestibular migraine can cause vertigo, dizziness, nausea and vomiting the with or without the headache that is typical of most migraines (13). Episodes of migraine-related dizziness generally occur spontaneously but, similar to migraine headache, can be triggered by certain foods, certain sensory stimuli, and certain situations (14). 11. Can Vertigo Be Caused by a Stroke? Yes, vertigo can be caused by stroke. Cerebellar or brain stem hemorrhage or an ischemic stroke may cause intense vertigo accompanied by nausea and vomiting. This may be clinically indistinguishable from vestibular neuritis. Computed tomography (CT) of the brain or MRI Magnetic resonance imaging) are necessary for diagnosis. 12. What Is Wallenberg Syndrome (PICA syndrome)? Wallenberg syndrome, or lateral medullary infarction, is a specific type of stroke associated with the acute onset of vertigo and disequilibrium. It is caused by a lateral medullary infarction, which results from occlusion of either the posterior inferior cerebellar artery(PICA) or branches of the vertebral artery. For this reason, it is also referred to as lateral medulla syndrome or PICA syndrome. Vertigo is often the most prominent symptom. However, neurological examination usually uncovers other neurologic deficits such as abnormal eye movements, an ipsilateral Horner syndrome, ipsilateral limb ataxia, and a dissociated sensory loss (loss of pain and temperature sensation on the ipsilateral face and contralateral trunk with preserved vibration and position sense) (12). Hoarseness and dysphagia are often present. Patients usually recover their equilibrium after several months. 13. Can Vertigo Be Caused by Multiple Sclerosis? Yes, multiple sclerosis (MS) may cause vertigo. In fact, vertigo has been estimated to occur in 20 percent of multiple MS patients (12). Vertigo and dizziness in multiple sclerosis is usually caused by a growth of an existing lesion or the appearance of a new lesion on the brain stem or cerebellum, the area in the brain that controls balance (15). However, one study noted that among 25 patients with MS complaining of vertigo, BPPV, not MS, was the underlying cause in more than half of patients (16). 14. What Is Nonspecific Dizziness? Sometimes it is difficult for patients to describe their dizziness. They may just claim they feel dizzy. Words like lightheadedness and giddiness also fall under the category of nonspecific dizziness. Psychiatric disorders may be the primary cause of dizziness. Sometimes dizziness is associated with depression, anxiety and panic disorder (17). Nonspecific dizziness may be related to hyperventilation (4). A variety of medicatoins may cause dizziness. Sometimes, abrupt drug withdrawal may cause dizziness (18). Disequilibrium is a sense of imbalance that occurs primarily when walking. Chronic or disequilibrium can cause significant impairment of physical and social functioning, particularly in the elderly (25). One large study study estimated that approximately one in five elderly persons (above age 65) experiences annual problems with dizziness or balance (19). The authors of the paper concluded that given the significant prevalence and negative effect of balance problems on daily activities in the elderly, balance disorders merit special attention, particularly in the face of an aging population. Although often a part of normal aging, disequilibrium may also result from many disorders of the central nervous system such as cerebellar disorders and Parkinson’s disease. Balance training and exercises are helpful to prevent and treat disequilibrium. Such therapy can help compensate for imbalance and maintain physical activity. Presyncope is the sensation that one is about to pass out. It is often described as a severe lightheaded feeling, often associated with unsteadiness or falling. Patients may also report lightheadedness, a feeling of warmth, diaphoresis, nausea, and visual blurring occasionally proceeding to blindness. An observation of pallor by onlookers usually indicates presyncope (12) . Presyncope usually occurs when the patient is standing or seated upright and not when supine. If presyncope occurs in the supine position, cardiac arrhythmia should be suspected (20). Most commonly, presyncope arises because the cerebral cortex is temporarily not receiving adequate oxygen, usually because of diminished blood flow (21). Indeed, most of us have experienced transient presyncope after rapidly standing from the lying or sitting position. Common causes in the elderly are orthostatic hypotension, vasovagal episodes, carotid sinus syndrome (CSS), medications, anemia, viral infections, and cardiac arrhythmias. 17. What Is Orthostatic Hypotension? Orthostatic hypotension, also called postural hypotension, is a term used to describe a low blood pressure that occurs when we stand up from a sitting or lying position. The classical definition of orthostatic hypotension is a reduction of at least 20 mm Hg in systolic or of at least 10 mm Hg in diastolic blood pressure, measured 3 minutes after changing from a lying to standing position (21). Orthostatic hypotension is a common cause of dizziness and lightheadedness in the upright position. It may even cause presyncope and fainting. Orthostatic hypotension is more common in older people. Hypovolemia (a drop in the volume of blood) and dehydration (low fluid volume in the body) both increase the risk of orthostatic hypotension. Hypovolemia and dehydration may be caused by bleeding, elevated blood sugar, diarrhea, vomiting, and medications like thiazide diuretics (HCTZ) and loop diuretics (furosemide, bumetanide) (22). The risk of hypovolemia and dehydration increases in hot weather. Patients with Parkinson’s disease often suffer from orthostatic hypotension. Some medication for anxiety, depression, erectile dysfunction, and Parkinson’s disease may increase the risk of orthostatic hypotension. 18. What Is a Vasovagal Episode (Vasovagal Attack)? A common cause of presyncope is an exaggerated activation of the parasympathetic autonomic nervous system leading to a bradycardia (slow heart beat) and vasodilation (i.e., vasovagal presyncope and syncope). The increased parasympathetic activity is mediated through the vagal nerve; hence the term vasovagal attack. Although a common cause of presyncope it is also a frequent cause of syncope or fainting (vasovagal syncope). The increased vasovagal response is commonly induced by abdominal pain and cramping, defecation, micturition, cough, sexual activity, the sight of blood, or fear. Intravascular volume depletion or dehydration will predispose patients to vasovagal episodes. 19. Can Cardiac Arrhythmia Cause Dizziness and Presyncope? Cardiac arrhythmia is a relatively uncommon cause of fainting and presyncope. Both bradycardia (slow heartbeat) and tachycardia (fast heartbeat) may induce a transient drop of blood pressure followed by reduction of cerebral blood flow, which evokes faintness and presyncope. Since several severe types of arrhythmias may induce sudden death, it is important to recognize faintness and presyncope as a warning sign for further potentially lethal arrhythmic events in selected patients (23). Holter ECG and event recorders are widely used for detection of arrhythmic events related with faintness/presyncope. Symptomatic bradycardia is the most common indication for lacemaker implantation. Such bradycardia is defined as a documented bradyarrhythmia that is directly responsible for the development of t of frank syncope or near syncope, transient dizziness or light-headedness, and confusional states resulting from cerebral hypoperfusion and attributable to low heart rates (24). Current pacemaker devices also treat tachyarrhythmias and are often combined with implantable defibrillators. 20. Can Low Blood Sugar Cause Dizziness and Presyncope? Hypoglycemia (low blood sugar) is the most common metabolic cause of presyncope. Hypoglycemia is often related to the treatment of diabetes. However, a variety of conditions can cause low blood sugar in people without diabetes. Other symptoms associated with hypoglycemia may be fatigue, pale skin, shakiness, anxiety, sweating, hunger, irritability, and a tingling sensation around the mouth (25). Hypoglycemia usually occurs during prolonged fasting. Sometimes hypoglycemia occurs after meals because the body produces more insulin than is needed. This is called called reactive or postprandial hypoglycemia.